My Cat Has Been Diagnosed with Cancer, What Now? It’s heart-wrenching to hear that your beloved cat has cancer. You may feel angry, confused, depressed, or otherwise emotional. You may immediately feel a sense of loss and start reminiscing about all the good times you’ve spent with your cat. It’s important to recognize these feelings and address them. You’ll need to take time to accept the cancer diagnosis. But it’s also important to remember your cat is not gone yet and they need you now more than ever. They need you to be their advocate. 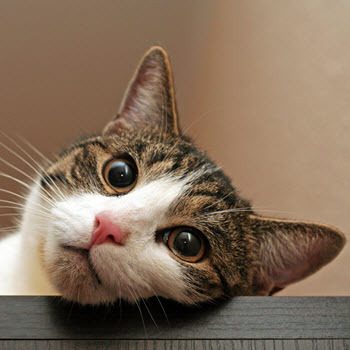 There are many things to think about when facing major medical decisions for your cat. Rule number one though: don’t panic. Great, now that you’re not panicking, take these important steps below. Find support. As much as you need to be there for your cat, consider building your own network of support through family, friends, a counselor, and your primary veterinarian or a veterinary specialist. Make a plan. Having a plan can help reduce stress. Know what your cat will tolerate and what they will not handle well, you don’t want to be fighting with your cat to give them their treatments. Know what you are okay with as well. 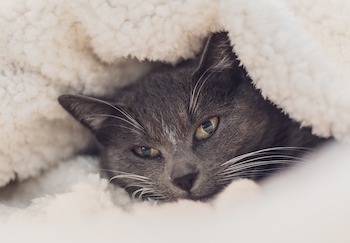 This includes a medical plan of care for your cat, your own plan for scheduling medical appointments, juggling work and family responsibilities, and time to take care of yourself. You’ll also want a plan for euthanasia, if and when that becomes necessary. Educate yourself. Learn all you can about the diagnosis. Ask questions. Learn about and seek out the help of a specialist . Know what to expect so that the process is not a surprise. All of this can help lower stress. Learn how to administer medications.